Jim started racing in 2000. Rising through the ranks he is currently the most successful Off-road racer in Europe with over 70 international podiums and over 30 titles to his name. 2015 was gala year with Jim winning the biggest and toughest events in Europe and being the man to beat. 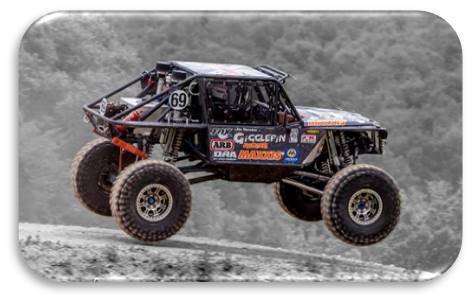 2016 started with Jim and team building an all NEW race car to help him concentrate on Ultra 4 and Trophy raid events. The new car “Little Lady” was launched in September 2016 and won the Graf trophy in Portugal and King of Britain back to back! The new car is packed with innovation and new ideas and “Little Lady” will be bigger and better than ever going into to 2018 season. With full factory support from Maxxis tyres, Fox racing, ARB 4x4, Spidertrax, Gigglepin winches and a further 20 other partners, Jim is well placed to continue winning at the highest level. The other side When not racing, Jim is engaged with various shows and motorsport exhibitions throughout the year and carrying out his role as a brand ambassador for companies that support him and the team. 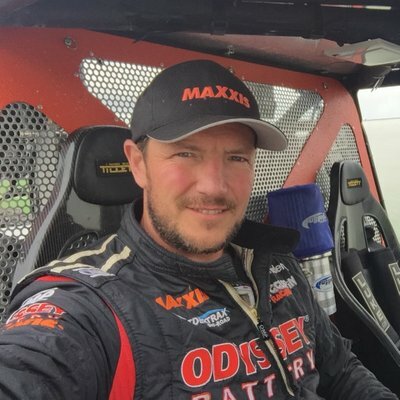 Jim also commentates at the largest single day Off-road race in the world, “King of the Hammers" California and at the Ultra 4 National finals in Reno, Nevada. When not supporting the Ultra4 racing Jim can often be heard over the airwaves at other major events such as the MINT400 in Las Vegas. Off road is Jim's life and as founder and owner of Gigglepin 4x4 and Gigglepin Winches. Jim's draws on his life experiences to work with his team to develop innovative market leading designs such as the GP100 competition winch. Wherever the action, Jim is sure to be there either racing or supporting the motorsports he loves.